Paul in sales was very helpful and professional. We have purchased three vehicles from this dealership in the past three years. Sales team is very good. The service is almost too good to describe. After dealing with terrible service at a variety of other local dealers for years, I can't believe how well it is done at DRI. Karen Dunbar takes care of the service on both of our current vehicles. She could not be better. My wife will not buy from another dealer completely due to Karen and I agree completely. Karen and her service team do a fabulous job detailing and servicing our QX80. The team treats you and your vehicle professionally making it a pleasure deal with. Keep up the great work! 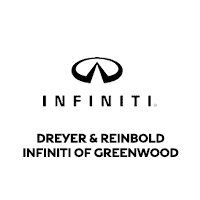 Great Salesman bought a used vehicle Dreyer Reinbold never fails!